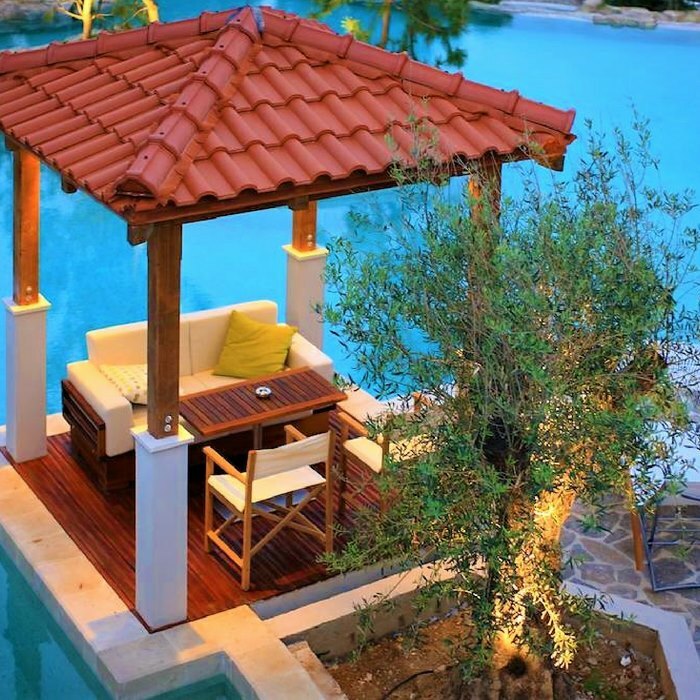 Book your luxury holiday in Croatia at the beautiful Hotel Amfora in Hvar. 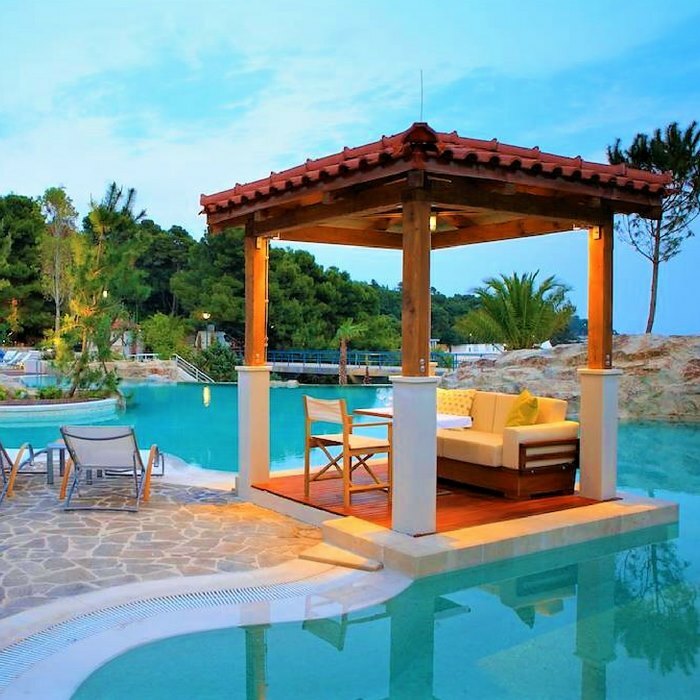 This luxurious 4 star resort property is situated in prime position in a tranquil secluded bay. 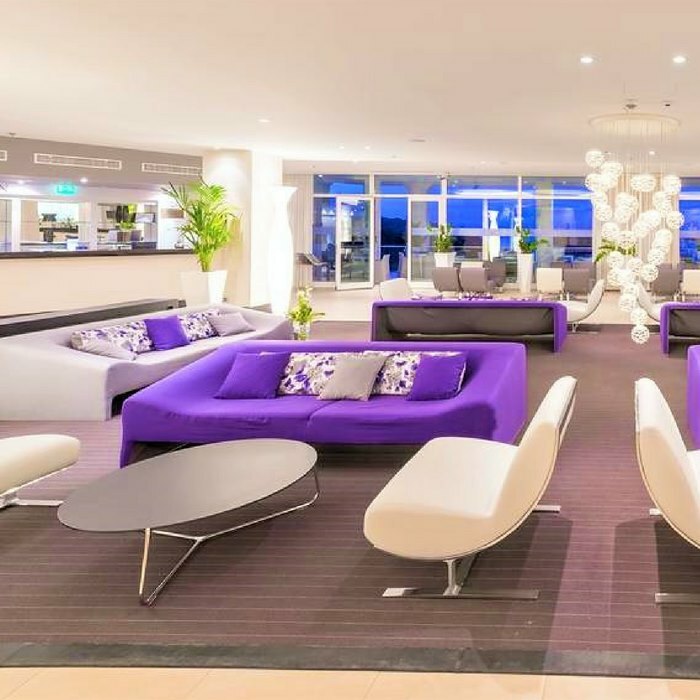 Besides boasting a spectacular ocean view, this elegant modern hotel also offers spacious and beautifully furnished accommodation and a wealth of on-site amenities and facilities. 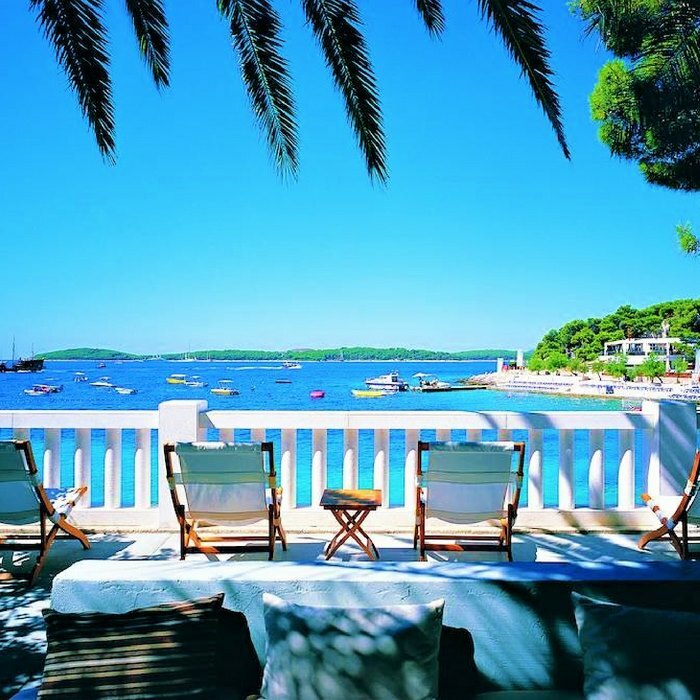 Situated in a premium location in a secluded bay, the Hotel Amfora Hvar is a luxurious establishment that offers first class service and everything you could possibly need to enjoy a relaxing and pampering break. Hotel guests can enjoy spectacular panoramic ocean views and access to a private beach area. 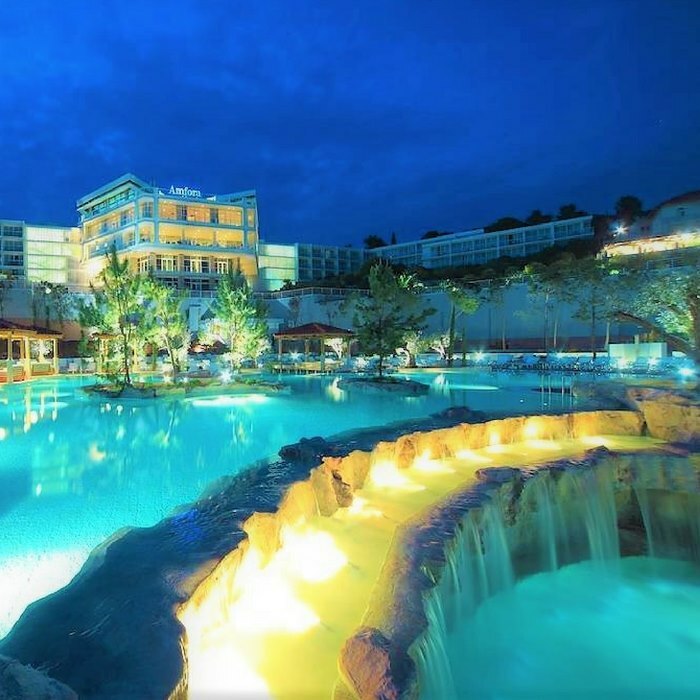 On-site there is a multi-level outdoor pool, fitness centre, Jacuzzi and on-site water sports facilities. All air-conditioned guest rooms are beautifully furnished in a modern style and offer state of the art technology and amenities. 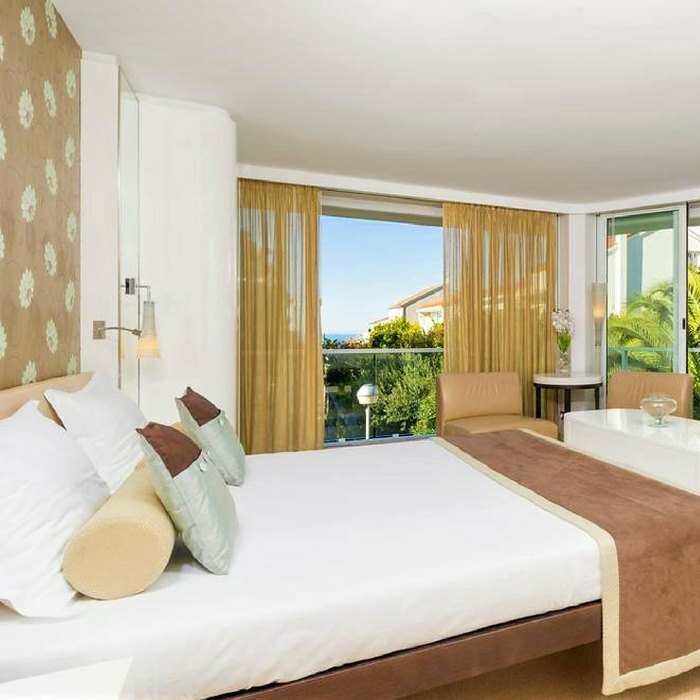 Balcony views of the breathtaking Paklinski Islands or beautiful hotel gardens can be enjoyed. 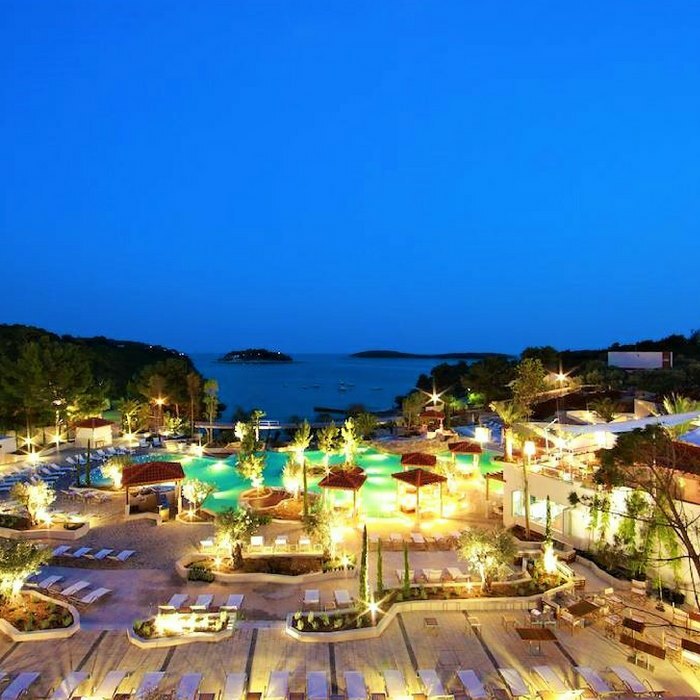 The Hotel Amfora Hvar has a stunning rooftop restaurant that serves delicious buffet style dinner with traditional, local and international dishes. 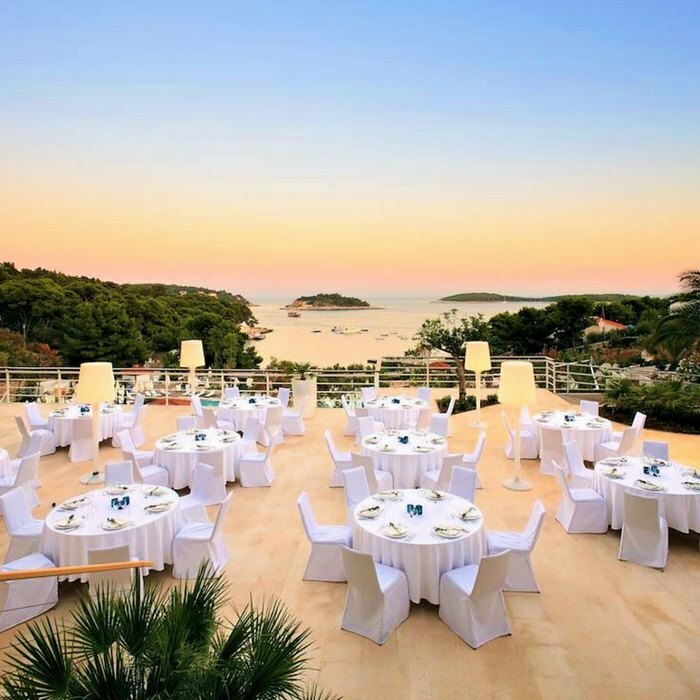 Diners can admire the splendid views of the Hvar Archipelago and the Amfora Bay, whilst enjoying a taste of the local wines and delicacies. The hotel offers private beach access to the exclusive Bonj les bains beach, where guests can rent a private seaside cabin. The beachside Maestral restaurant provides a cool tented place to relax and sample authentic barbecue specialties.